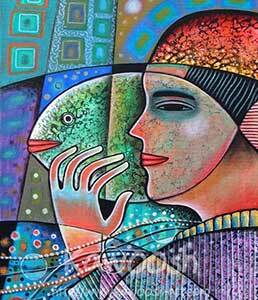 Sattar Kawoosh was born in 1963 in Baghdad, Iraq. 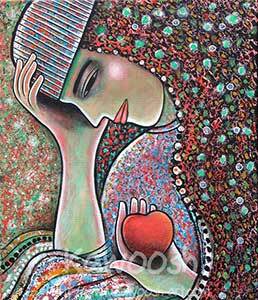 Because of his affinity with art he started to study at the Art Academy of Baghdad (1984 – 1990), where he graduated in visual arts. In subsequent years he received recognition for his work by gaining several prizes. 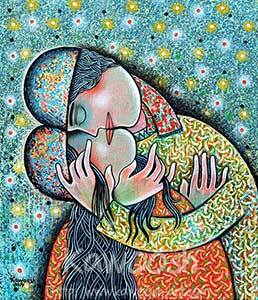 Besides making paintings he also makes illustrations for magazines, newspapers and book covers. 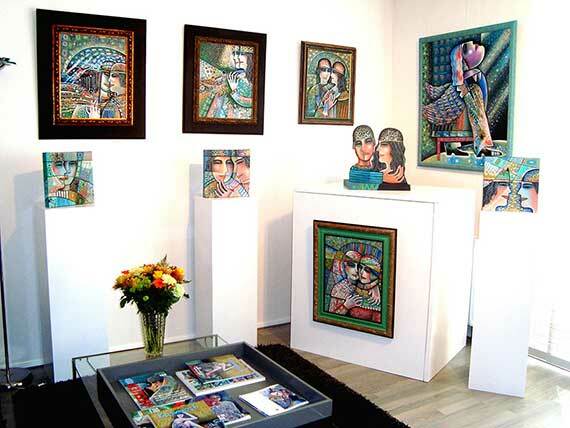 Many of his paintings are exhibited in exhibitions worldwide. Sattar feels like a beautiful tree, with his roots in Baghdad and his branches with green leaves in The Netherlands. 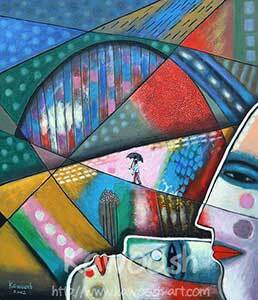 With the use of colour, lines, harmony, nuances and themes in his paintings, he tries to make people happy. 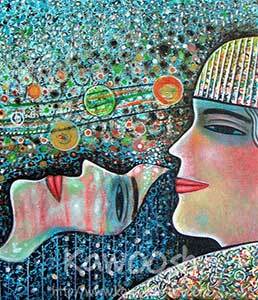 The theme in the paintings of Sattar Kawoosh is about love, special moments between woman and man in a romantic atmosphere. In his work you can see a mix between One Thousand and one Night of the East, where he comes from and the Jugendstil of the North, where he lives now. He is always looking for original sizes, such as for example round or oval shapes, ranges and spatial work such as tables, chairs and other 3D work. 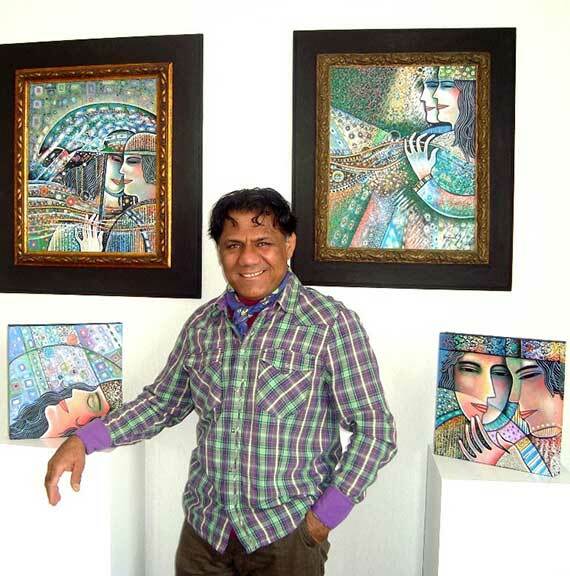 As an artist, Sattar looks at the world through his own window. Through his window he can visualize hope, future, happiness and freedom. 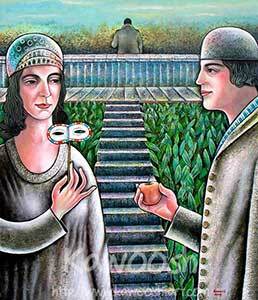 His paintings give him a positive look at the future. There is no difference to him in painting a window or looking through a window and visualizing a painting. 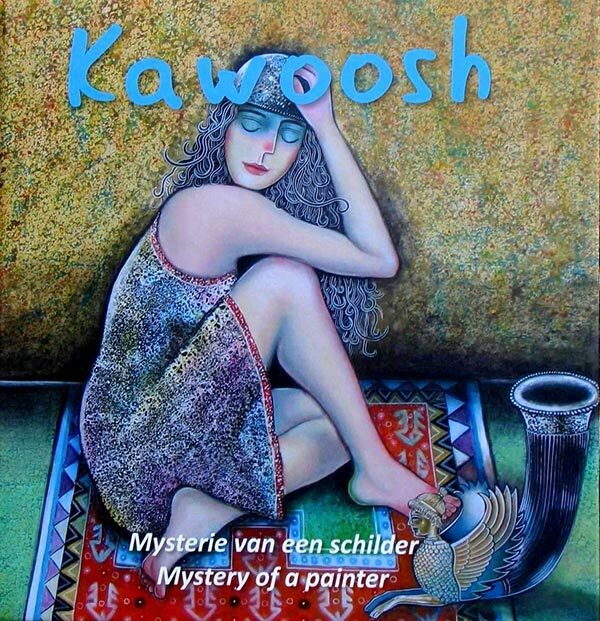 Book with illustrations of Sattar Kawoosh, 80 pages, full colour, 22 x 22 cm, hard cover. 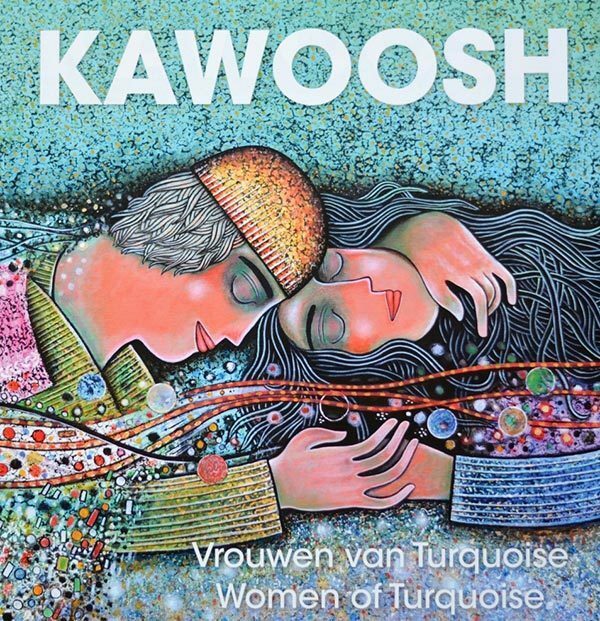 Book with illustrations of Sattar Kawoosh, 140 pages, full colour, 30 x 28 cm, hard and fabric cover.